Below are AASA Children's Programs publications based on the efforts of our initiatives. 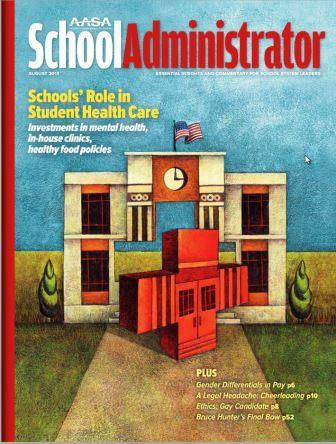 "The Schools Role In Student Healthcare" from a Fall 2013 AASA School Administrator. Our Children's Programs Department blog, The Total Child, is meant to provide a space for those affected by our work to be heard; to express the daily impact of that work on a district, school, and individual level. If you are interested in writing a guest post or have questions, contact Rebecca Shaw, project coordinator at rshaw@aasa.org. Human Effect: Stories from the Field – Fundraising Alternatives in Monett, Mo. Human Effect: Stories from the Field – School breakfast in Syracuse, N.Y.
Department of Labor: "High School Apprenticeship Toolkit"
Looking for something published before 2010? View our publications archive.